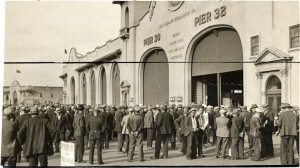 In Part 2 of my interview with Mike Casey, president of UNITE HERE Local 2, Mike channels the late, great organized labor leader Jack Henning and tells us what the fight along San Francisco’s waterfront is really about. 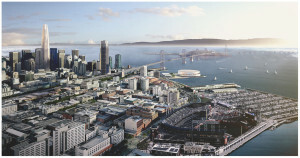 What do you think is going to happen with the waterfront and the Warriors? The real fight on the waterfront is different. A hundred years ago, the jobs on the waterfront were all longshore jobs. And workers didn’t have anything resembling a living wage. They were in starvation kinds of jobs. They didn’t have decent benefits or anything. Then in the 1930s, those workers came together and they organized, and the General Strike happened. Between 1934 and around 1970 when the Port started declining, for 35 years, those were better than just good working-class jobs. Those jobs delivered people into the middle class. Those jobs put kids through college. Those jobs gave people retirement security. Those jobs gave a whole generation of working people on the waterfront middle class and a decent livelihood. And as those jobs have left, what have they been replaced by? They’ve been replaced by two types of jobs. One are the service sector, low-wage jobs whether it’s restaurants or other kinds of food service or retail. And then there’s the jobs in the high-end office buildings with professionals like stockbrokers and bankers and lawyers. And so the challenge is–are we going to restore the promise of jobs on the waterfront? That’s what the fight out at the ballpark is about. That’s why I think (former SF Mayor) Agnos is wrong for fighting us on the Warriors. Because think about this. You’ve got AT&T (Park), where workers, you know they’re not getting rich, but they’re at least paid a living wage. They have fully paid health care. They have a retirement plan. They have vacation. They have sick leave. They have all the holidays. They have the things that working people in unions have. You don’t have that anywhere along the waterfront. The only reason people have sick leave is because there’s an ordinance that requires it. But there’s no health care provided to those workers of any real significance. There’s certainly no retirement plan. And the wages are all minimum wage or barely above that. And now we have an opportunity to expand (union jobs) from AT&T to the Warriors Arena. When you look at those seasons, that basically takes a six-month-a year-job and another six-month-a-year job and turns it into a full-time, year-round job for 1,000 workers who can make a living wage. 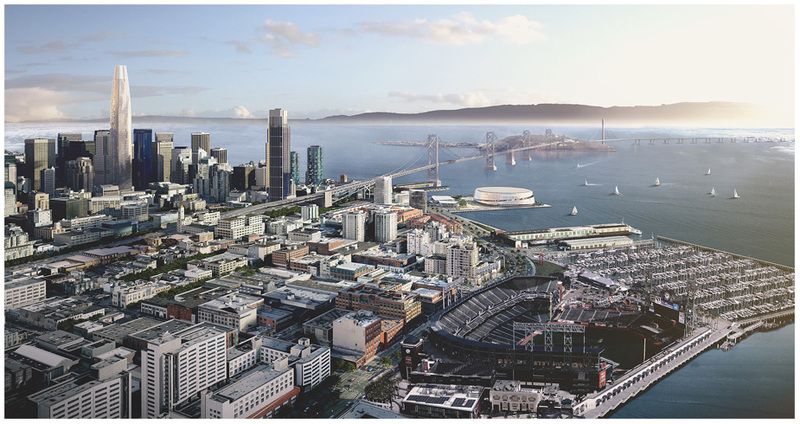 Geographically those are strategic points (AT&T Park and the Warriors Arena) because you have those two anchor places where people actually have decent jobs. That’s what the fight is about. How is the Centerplate (San Francisco Giants’ food service vendor at AT&T Park) dispute going? The Giants really have been hands off and refuse to take any responsibility for the fact that their contractor is taking advantage of 800 workers. We’re now at the end of a fourth season without a wage increase and they are so far apart from where we are, it’s not even funny. The other hold up in the negotiations is our job security. In 1993, Volume Services, (it’s Centerplate now, but it was Volume Services) came in and took over a company named Harry M. Stevens, a national food service company that I don’t think is around anymore. We (Local 2) didn’t have any successorship or job security language in the contract. The new company came in and said, ”Look we think these workers are experienced, we think they could be helpful, but we’re not going to offer them re-employment unless we get some concessions.” So workers took as deep as $3 and $4 an hour cuts. When you’re talking about $13 and $14 (an hour) wages and you’ve got to go down to $9 or $10, that’s a real hit. The Giants’ contract with Centerplate runs out in the next 10 years. We can’t settle this contract without having successorship. We want the Giants to guarantee, along with Centerplate, that if there’s a change in ownership or operator or whatever, all of our members will keep their jobs and the terms and conditions will continue. I think, quite frankly, that’s the biggest holdup for these guys because they want to reserve the right in five years to buy out the Centerplate contract, go to a different operator and hold the jobs hostage. Fifty-five percent of every dollar goes to the Giants. You buy a $10 beer–$5.50 right off the top goes to the Giants. Centerplate has $4.50 to pay for the workers, to pay for the beer, pay for the distribution of the beer and get some kind of a profit. They’re squeezing the whole thing and we’re caught in the squeeze. 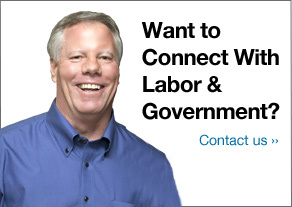 You have the ability to get people to support each other within a very large union. Yeah, but, it’s not me. It’s our entire staff. We have great staff. So our union, we have great staff, we have great rank and file leaders, we have a strong network of shop stewards and in-house committee members. We deal with committees in our properties and people understand that the threat is from the non-union sector. Unless we put more resources into organizing, we’re going to continue to fight rear guard actions for a little bit more or just to hold on to what we have. Organized Labor is in retreat to the extent that they’re not out they’re organizing and trying to expand and grow. And so the unions that are advancing a plan of growth, through more members or through community allies, those unions are not in retreat. The unions that are not doing that are absolutely in retreat.